It's a strange sensation when you receive an activity book that's so utterly gorgeous, all you can think of is hiding it away from the kids so they can't take a pen or texta to it. I mean, that's not what's meant to happen! They're meant to take pen or text to it! But sometimes, the activity book is more a work of art, and this is when you really need to buy two copies. One for the kids and one for yourself. A Wonderful World of Animals is just such a book. Illustrated by Victor Escandell, this luscious book is a heady mix of kooky illustration of varying style, slipped onto pages brimming with striking typography that will send the Font Fanatic's heart aflutter. 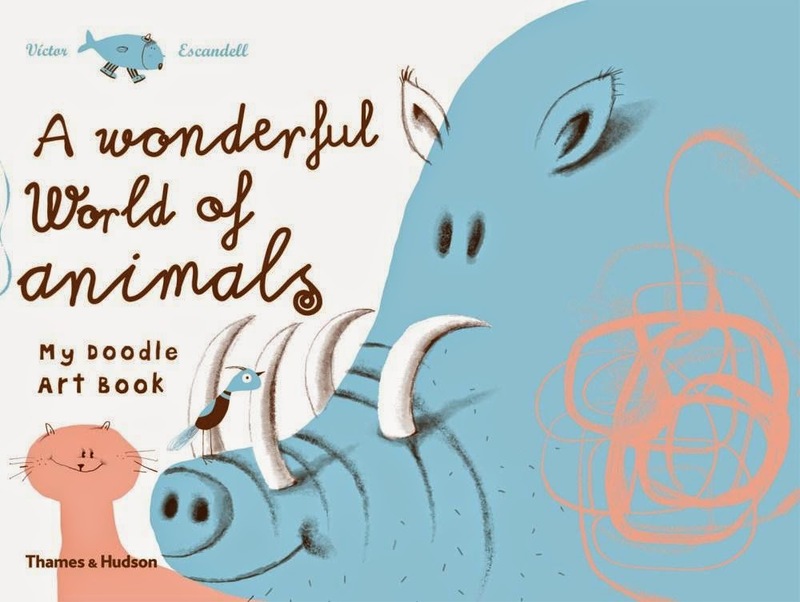 Like the work of Hervé Tullet, Escandell's book is vibrant in its simplicity, with plenty of open space for creating, with lovely prompts and ideas to get creative juices flowing. From dot-to-dots (but not as you know them) to character creation and imaginative prompts galore, this is think-outside-the-square stuff. Kids--grab your copy (not Mum's copy!) and sharpen your pencils. Get set for inspiration.